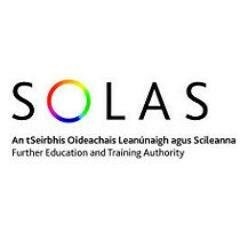 eCollege (SOLAS) - Distance Learning in Ireland. eCollege is a leading learning institution that delivers online and distance training courses in business, project management, SQL, Cisco, graphic design, web design, digital marketing, software development and basic computer literacy. Online courses are available free of charge to unemployed clients. These courses are designed to give a flexible response to the specific skills needs of job ready individuals who require training interventions with certification to assist them to re-enter the labour market. Courses are also available, for a fee, to employed persons who wish to update their skills. While these courses are delivered completely online, eTutor support is available throughout the course. The aim of this course is to develop the learner's understanding of the fundamental workings of Java in getting started developing real Java 7 applications.The learner may then progress to Java Professional SE7. The aim of this course is to enhance the learner's understanding of the workings of Java in developing real Java 7 applications. The learner should have completed Java Associate Developer SE7. The aim of this online course is to provide learners with the skills to manage and share documents, design advanced documents, create advanced references and create custom word elements.